who said you can't eat healthy things that still taste good?! buuuut, my cute momma introduced me to my new favorite breakfast drink. ever. the brand is attain and not only is it absolutely delicious but it's only 110 calories a scoop..
sweet potato powder and mulberry extract. and although it's usually used as a weight loss/maintaining supplement- it has the protein, energy benefits and enough "good stuff" in it that i decided it was definitely worth a shot. trust me- i am not trying to lose weight or do any sort of a fad diet type thing. this stuff is just really good and tastes like a caramel shake for breakfast. it's a win-win! Sounds yummy! I'm not one for shakes but I might try this! Yum! 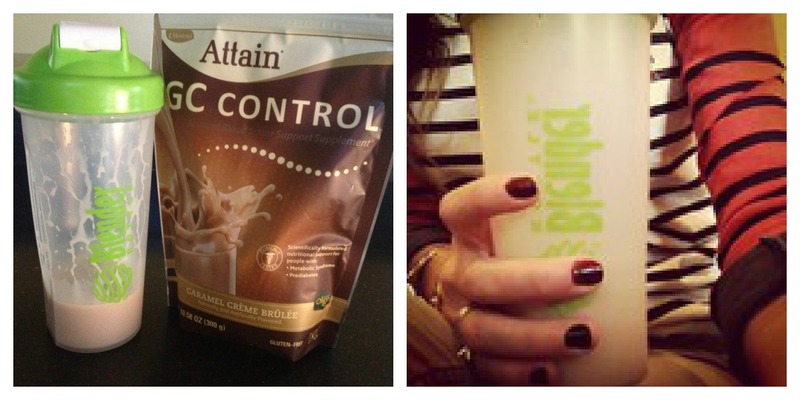 I'm always up for trying a new breakfast shake -- Thanks for sharing! I was just on the hunt for a new breakfast shake...so thank you for sharing! I have to try this out. ooo, yum! i'll have to try it! where could I get this brand? Also would you happen to know te carb/sugar count? :) I try to keep my diet low carb and love whenever I can find a protein shake that has low of both!!! If I am correct that is from Melaleuca. You will need to order online or find a representative. I used to be in Melaleuca. They have great products and awesome green cleaning products too.